beIN SPORTS pundit Andy Gray is puzzled why Newcastle boss Rafa Benitez complained about Willy Boly netting the equaliser for Wolves on Monday night. Isaac Hayden initially put the Magpies ahead in the second half, but Wolves defender Boly ensured his side a share of the spoils when he scored in stoppage time – much to the bemusement of Benitez. Gray says it is goalkeeper Martin Dubravka who has cost United in the last couple of games, despite calls that Boly had fouled the shot-stopper when scoring the goal in the 94th minute – and he feels that the referee adding on an extra thirty seconds was justified. “The keeper has cost them three points in the last two games. I am not so sure what Rafa has got to complain about. It might be 94:30 when the ball went into the net,” he told beIN SPORTS. Benitez may have been fuming that Wolves scored their equaliser when they did, and you cannot blame him seeing as his team are currently in a relegation dog-fight. However, Gray is right – the referee may have had a reason for adding the extra time onto the original four minutes, although it is hard not to sympathise with the Spaniard. 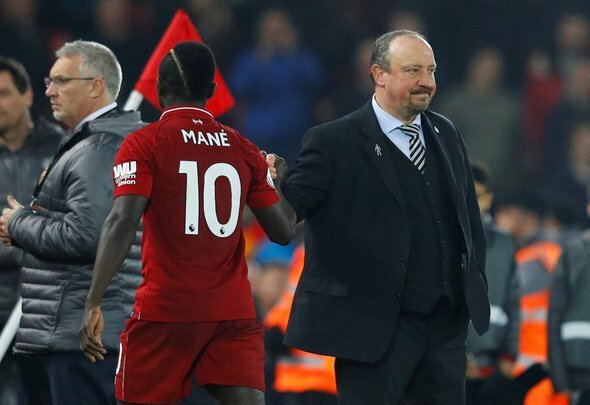 Newcastle were on the brink of a very important victory and it would have been three points that could prove vital at the end of the season. In regards to Boly allegedly fouling Dubravka when scoring the goal, Gray is right to say that he did not think it was a foul. Yes, he did have his hands on the keeper’s shoulders – but the referee was right not to give it. Benitez was no doubt incensed after conceding such a goal, which is why he may have got the wrong end of the stick in terms of the goal.